Naomi Blinick is a field biologist and photographer with a diverse background in ecology and conservation. 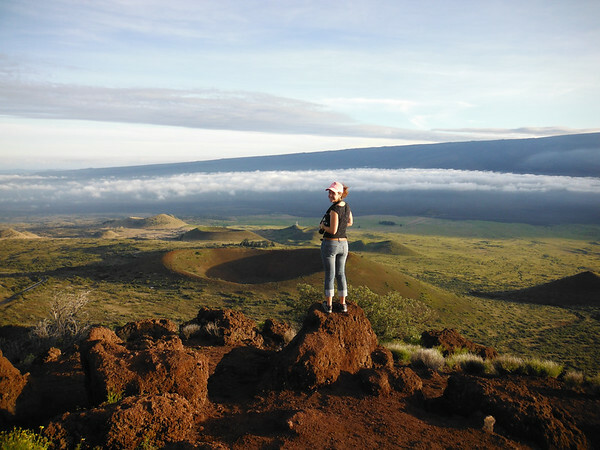 Having spent years working abroad, from islands off of east Africa to northwestern Mexico, my international experience has provided me with a deep sense of context and responsibility for communicating both the beauty and perilous condition of the environments I've worked in. 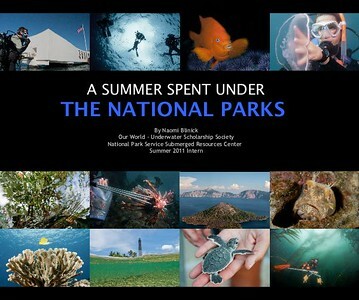 Following up a two-year research and conservation fellowship at a biological field station in Sonora, Mexico, I spent the summer of 2011 traveling throughout the United States as an intern for the National Park Service's Submerged Resources Center, an opportunity provided by the Our World-Underwater Scholarship Society. Through my internship I explored diving operations throughout the National Park Service, and have been diving with park dive teams from Florida to Hawaii. In 2012 I helped to digitally mosaic unseen views of the RMS Titanic in situ on the seafloor, as part of an interdisciplinary team from the Advanced Imaging and Visualization Laboratory out of Woods Hole Oceanographic Institution. In 2013, I was able to continue developing my multimedia skills through producing educational videos about science taking place at Cape Cod National Seashore in Massachusetts. In 2014, I participated in NOAA's marine debris mitigation efforts in Papahanoumakuakea Marine National Monument (the Northwestern Hawaiian Islands), where our team recovered over 57 tons of derelict fishing gear, plastics, and two abandoned fishing vessels. 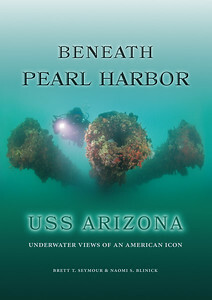 In 2015 I continued to work with the NPS Submerged Resources Center in the creation of a book of underwater images of USS Arizona, one of the two sunken battleships that remains in Pearl Harbor from the Dec 7th attack (Beneath Pearl Harbor, USS Arizona). 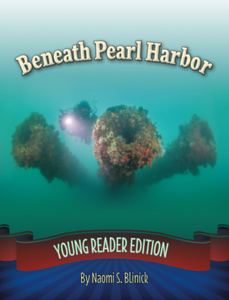 In 2018, I expanded on this effort by authoring a book for younger audiences about underwater exploration and photography at the USS Arizona (Beneath Pearl Harbor: Young Reader Edition). My favorite jobs have allowed me to work at the intersection of science and communication; doing my part to make the world a better place and sharing that work with others. I currently live in eastern Washington and am exploring the fields of forestry and wildland firefighting. Blinick, NS and Fleishman, AF. 2013. 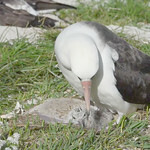 Diurnal Predation by a Coyote (Canis latrans jamesi) on an Adult Blue-Footed Booby (Sula nebouxii) on Isla Tiburón, Gulf of California, Mexico. The Southwestern Naturalist 58.3: 368-370. Fleishman, AB and Blinick, NS. 2012. Northerly Extension of the Breeding Range of the Roseate Spoonbill in Sonora, Mexico. Western Birds 42:4. Fleishman, AB and Blinick, NS. 2011. Nesting Least Terns Sternula antillarum at Estero Cardonal, Sonora, Mexico: a newly discovered colony in the Gulf of California. Marine Ornithology 39: 277-279. Hurley, EK and Blinick, NS. 2011. Fledging chronology of Craveri’s Murrelet Synthliboramphus craveri on Isla Alcatraz, Gulf of California, Mexico. Marine Ornithology 39: 274-276. USFWS Pacific Region Tumblr: Wisdom, the World’s Oldest Known, Banded Wild Bird has a new chick!